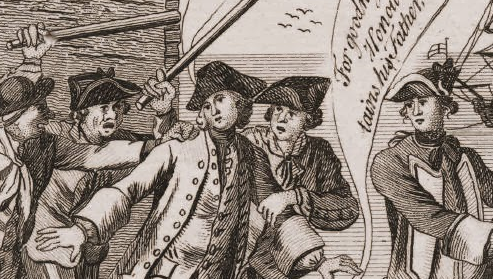 As we saw yesterday in the first part our posts in support of HMS Acasta's Press Gang Week, the use of naval impressment in America was one of the causes of the American Revolution. What may surprise you is that the use of press gangs in America, and resistance to them, predates even the earliest thoughts of independence. 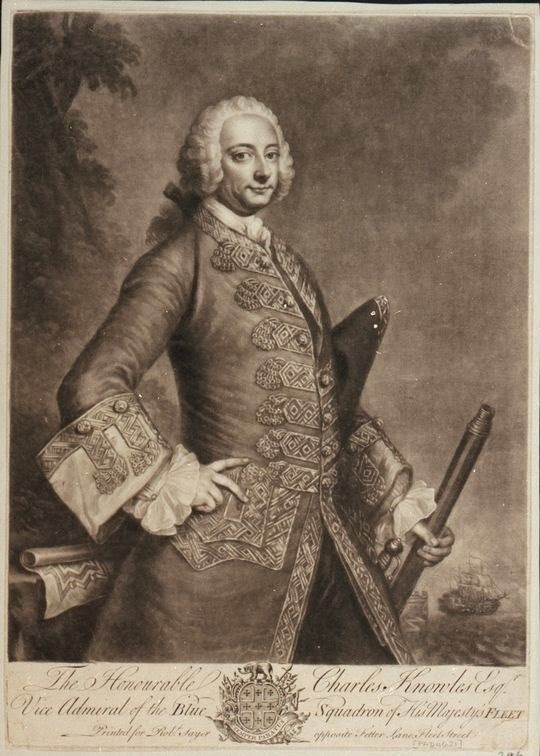 In 1747, during the humorously named War of Jenkin's Ear, the accomplished Royal Navy commander Charles Knowles (recently promoted to Rear Admiral of the White) anchored his fleet beside Boston to refit and resupply before sailing to the West Indies. While in Boston, he was plagued with that ever present drain on manpower: desertion. His solution was predictable: use the press gangs to make up for the loss. As I mentioned yesterday, the use of press gangs in America was a legal gray area. The Royal Navy felt they were entitled to use it for the mutual defense of Britain and her colonies, but Americans wouldn't stand for it. Knowles may have been able to work around this stalemate. Provincial Governors could give permission to press men into the Navy from their colony. If a ship was inward bound, rather than outward, it was far less injurious to the economy, and therefore more acceptable. In fact, this was almost done successfully in 1745 by the HMS Wager. Her captain appealed to the authorities for permission to press, which was granted providing that the press gangs only take men who were not Massachusetts subjects, and that they press no veterans of the successful and famous Louisbourg campaign. Though the gangs of the HMS Wager did not follow these instructions, it does demonstrate the limited willingness of colonial governments to cooperate. Knowles ignored all precedents. Outward bound crews were pressed, men expressly exempted from impressment by law and by the request of the governor were pressed. The people of Boston would tolerate Knowles brazen disregard. On the morning of November 16, 1747, hundreds of Bostonian sailors armed "with Cutlasses and Clubs" began taking hostages. Naval officers were targeted as especially valuable to their cause. A sheriff unwisely arrested two of the mob, and was attacked in turn until he released the two prisoners. Throughout the day the mob rioted, taking more naval officers into their grasp. A series of exchanges, rescues, and narrow escapes ensued. Regular soldiers were called out to protect the governor's house. The crowd continued to grow into the thousands. At one point, the mob even rampaged into the Town House! At its worst, Governor Shirley fled the town, and Knowles threatened to level the city with his ships guns. The conflict over impressment would not again be this heated until the War of 1812. It was not until the impressed Bostonians were released that the the mob finally abated. Knowles left the town dissatisfied, but a bloodbath had been avoided. To read more about the riots caused by the HMS Wager and Charles Knowles, check out Jack Tager's Boston Riots: Three Centuries of Social Violence and Russel Bourne's Cradle of Violence: How Boston's Waterfront Mobs Ignited the American Revolution. Tomorrow: Did the American navy ever use press gangs? Coming Soon: Press Gang Week!